Pediatric delirium is similar to other types of organ dysfunction that our patients suffer from during critical illness. Delirium (acute brain dysfunction) diagnosis requires your assessment of the cardinal features including: acute change or fluctuation of mental status, inattention, acute alteration of the level of consciousness, and/or disorganized thinking/systems. Pediatric trained clinicians recognize the challenges we face as our patients demonstrate vast differences in neurocognitive and psychosocial development. Hence, creation of bedside tools for pediatric delirium has required thought in how to appropriately integrate developmental variation in assessment for the cardinal feature of inattention. We have created and validated two efficient bedside tools to help incorporate delirium monitoring into the critical care setting. The Preschool Confusion Assessment Method for the ICU (psCAM-ICU) diagnoses delirium in critically ill infants and children less than 5 years of age. The Pediatric Confusion Assessment Method for the Intensive Care Unit (pCAM-ICU) assesses delirium in children 5 years of age and older. The ps/pCAM-ICU were adapted from the adult Confusion Method for the ICU (CAM-ICU). The CAM-ICU series of delirium monitoring tools all demonstrate a hierarchal approach to delirium diagnosis placing weight on the cardinal features of acute/fluctuating mental status and inattention. These core features are the same as outlined in the Diagnostic Statistical Manual of Mental Disorders (DSM) criterion for delirium. The result of using a hierarchal approach found in the CAM-ICU series is that patient assessments are simple and efficient even among critically ill infants and children. The ps/pCAM-ICU can reliably be used by both nurses and physicians. With the implementation of delirium monitoring, there are obstacles to changing the ICU culture including patient care practices and staff perceptions. These obstacles provide opportunities for education, discussion, and ongoing learning for all medical professionals. Although delirium is not a chronic disease, it has been associated with long term complications (post-traumatic stress disorder, attention disorders, cognitive impairment). Our vigilance to learn more about this type of organ dysfunction and the associations with patient outcomes is vital. We have developed a wonderful collaboration with our child psychiatry service. Our psychiatry colleagues function as other consultants we use daily in the ICU setting like nephrologists and cardiologists. Our delirium management algorithms place great importance on non-pharmacologic strategies followed by pharmacologic intervention when appropriate. The strength of a non-pharmacologic approach is the focus on disease related interventions as the foundation for delirium resolution (hypoxia, hypotension, pain, infection). However, there are patients that pose complicated neurobehavioral assessments or require escalation of care due to severe delirium in which our psychiatry colleagues provide more specific diagnostic assessments and pharmacologic interventions. The goal being continuity of care as our patients leave the ICU setting and require ongoing monitoring of their mental health, weaning or discontinuation of medications, and follow-up if necessary. Just like most children with acute renal insufficiency have return of kidney function by the time of discharge, so do children have resolution of delirium. 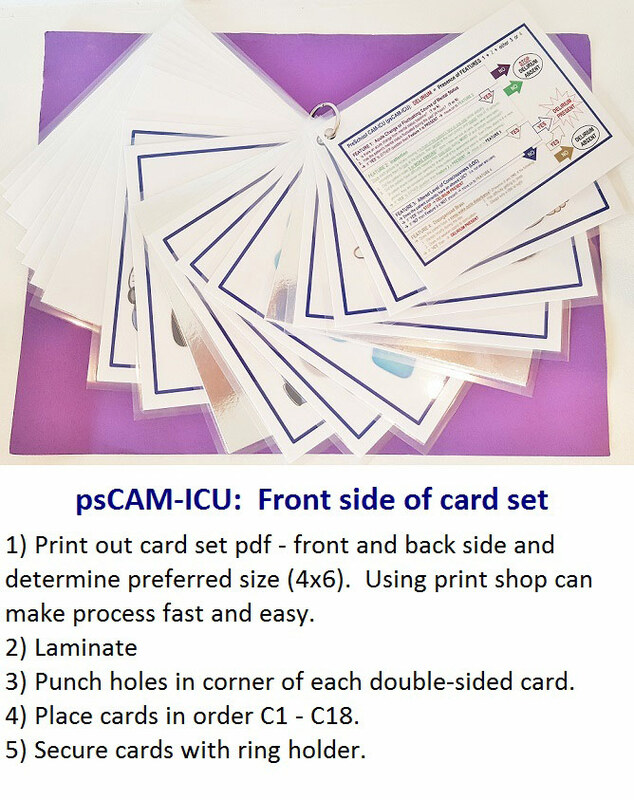 In our PCCU, a laminated psCAM/pCAM-ICU pocket card set is hanging on the wall within each room. We have a detailed description of how to perform the psCAM/pCAM-ICU (Instructional Tool) in our nursing education binder which can be found in between patient rooms. Additionally, a narrative discussing pediatric delirium (“Understanding delirium in my patient”) along with directions to the www.icudelirium.org website are found in the education binder. Our group has created a “Pediatric Road Map” which encourages both the evaluation of level of consciousness (arousal) and of delirium (content of consciousness) by the nursing staff, and the nurse practitioner or physician in training who is caring for the patient daily. The medical team discusses where the patient currently is in regards to LOC (actual RASS score), where the patient is going in regards to the desired or target LOC (assigned RASS score), and whether the patient suffers from delirium (actual psCAM/pCAM-ICU). Discussion then ensues regarding prevention, intervention, and titration strategies to bring the patient in line with the goals for brain health while we are treating the critical illness. The desire for understanding delirium in all critically ill infants and children is growing. We appreciate your interest and desire to learn more about delirium and how it affects pediatric patients. We remain passionate about education and research. 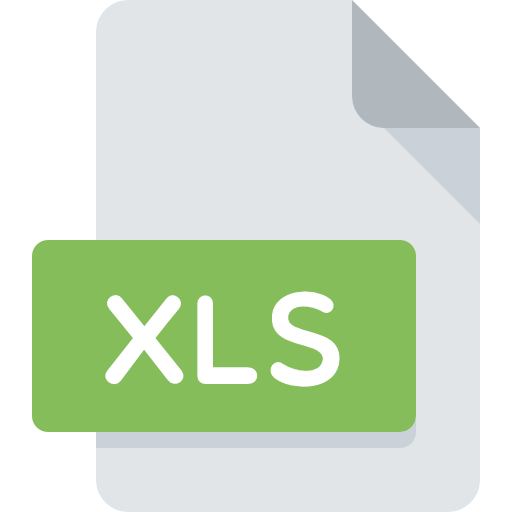 We hope you find the materials on this website useful and we welcome any comments or suggestions you may have. She is our only child—a very bubbly, active, outgoing, spunky four year old— and is two years into treatment for B Cell Leukemia. She had had no complications with treatment and responded well. A few weeks ago she went into respiratory distress from viral pneumonia. She was on a ventilator for 10 days, during which she developed ARDS. 10 or so days of intubation will not only atrophy the muscles, but cause confusion. We aren't sure she knows who we are, or sometimes what we are asking. She said she was scared, and we as her parents are on the outside looking in, so it is impossible to discern whether she is scared of what she sees, or if consciousness is so foreign to her at this point she doesn't quite know how to handle it. Imagine being comatose for that long, with nothing but humming machines and the occasional loved one telling you stories, and then being forced into a world that you have forgotten how to handle... with no muscles to help you navigate it. As I laid awake in the middle of the night tossing and turning I was reminded of a reoccurring dream that I have where darkness surrounds me... and I desperately try to see around me. I turn on a light switch and can see the light bulb turn on, but no light is projected... the room remains dark even though the light is on... This is the only way I can attempt to fathom what my daughter is dealing with right now. I read an article bringing familiarity to her (perhaps it was mentioned on the Vanderbilt site along with Mary's advice). After much reluctance we got the oncologist to allow us to bring her toy poodle outside to meet her in the courtyard. It was the strangest thing. The moment our daughter saw her dog she just snapped out of it. We went back up to her room and the dog went home and she seemed to go inside herself again. We realized with her stable we needed to get her home so she could progress out of this state so got permission to go home on a feeding tube. Aside from a very slight limp, she acts as if nothing happened. Went through her preschool alphabet and math and drawing workbooks exercises and family she hadn't been able to identify etc.... Our biggest concern at present will be how to continue chemo without the chickenpox coming back, but of second concern was if we should be doing anything counseling wise etc. for our precious girl... She seemed so traumatized that week after she woke up. Delirium should be monitored using the ps/pCAM-ICU at least once per shift AND more often if there is change in behavior or mental status. Delirium monitoring requires the assessment of both components of consciousness (arousal and content). Step 1 is the assessment of a patient’s arousal or level of consciousness using sedation scales such as the Richmond Agitation Sedation Scale (RASS) or the State Behavioral Scale (SBS). A patient who is NOT responsive to voice or light touch (RASS - 4 or - 5 and SBS - 2 or - 3) is considered comatose and cannot be clinically assessed for delirium at that time using any delirium tool. This does not mean they do not have delirium (acute brain dysfunction), only that their level of consciousness does not allow for your clinical assessment. Step 2 or assessment of the content of consciousness using the ps/pCAM-ICU occurs when a patient’s arousal is at least a RASS - 3 or SBS - 1. Both the ps/pCAM-ICU algorithms mirror that of the adult CAM-ICU assessing the FOUR main features of delirium outlined in the Diagnostic and Statistical Manual of Mental Disorders (DSM). Development of the Vanderbilt Assessment for Delirium in Infants and Children to Standardize Pediatric Delirium Assessment By Psychiatrists. 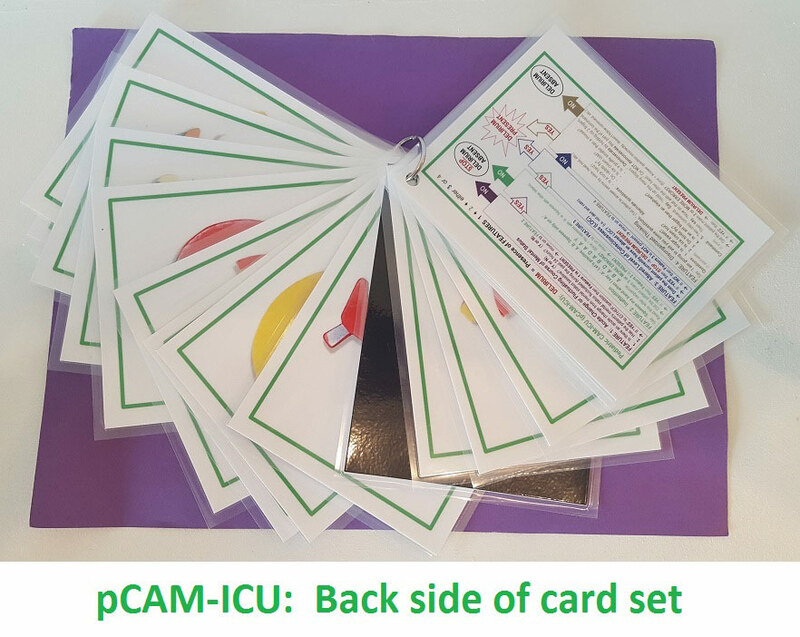 The Delirium Card Sets contain an arousal assessment tool (RASS or SBS), both the psCAM-ICU and the pCAM-ICU individual pocket cards, and developmentally appropriate picture cards. The desired card set is printed out, laminated, held together with a metal ring, and hung within each patient care room. The card set is easily cleaned in between patients. Printed out, double sided, size appropriate. The card set pdf is created such that when printed out front and back side, flipping through the cards in one direction will show the psCAM-ICU (blue) and in the opposite direction will show the pCAM-ICU (green). Card 2 will be either the ps/pCAM-ICU individual pocket card. 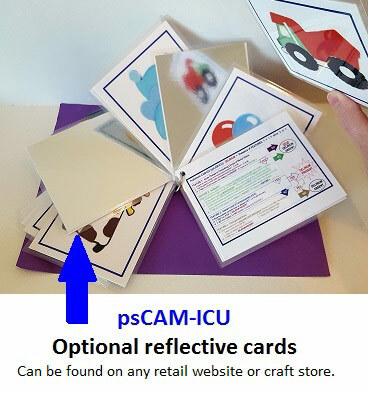 Cards 3 – 12 on the psCAM-ICU side includes TEN developmentally appropriate pictures to assess for inattention. 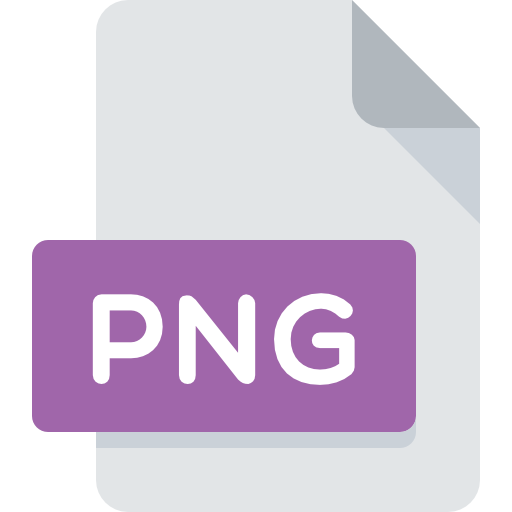 As explained above, FIVE reflective cards can be exchanged for FIVE of the picture cards, or a hand-held mirror can be used as well. 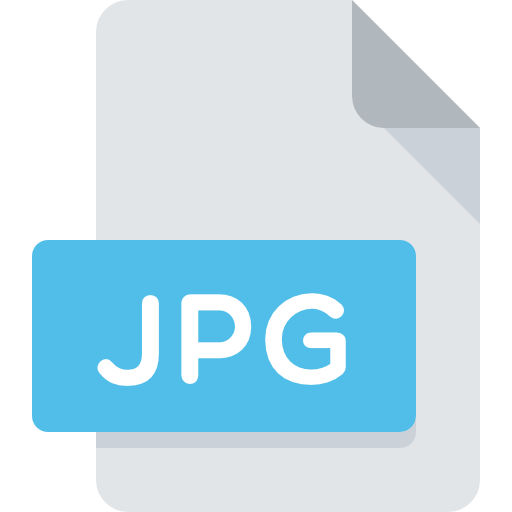 Cards 3 – 18 on the pCAM-ICU side includes memory pictures that can be used for assessment of inattention. However, the Vigilance ‘A’ test for inattention (a patient squeezing your hand when you say the letter ‘A’) is more commonly used for the inattention assessment in older children, so you will not always use the memory pictures when using the pCAM-ICU. Appropriate population: Children less than 5 years of age either intubated or non-intubated. Overview: The psCAM-ICU Instruction Tool provides detailed directions on how to perform delirium monitoring in children less than 5 years of age or older patients with developmental delay. Assessment: For patient assessment, all you need is the psCAM-ICU card and the associated picture cards. You will find the Delirium Card Sets available for download below with either the RASS or SBS as the arousal assessment piece. 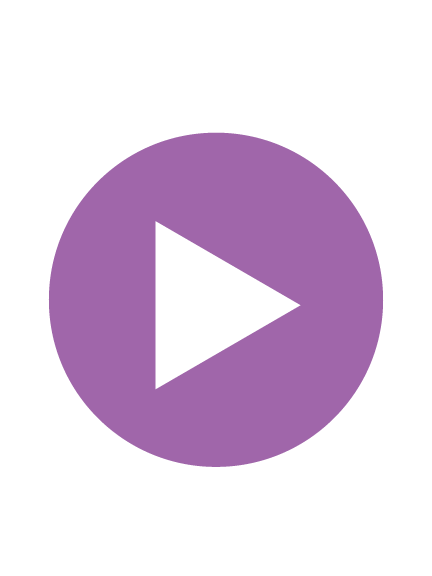 Please review the video provided in the “Monitoring and Management” section for an example on the inattention assessment using the psCAM-ICU. The assessment for inattention (Feature 2) can be completed using the TEN developmentally appropriate picture cards included in the Delirium Card Set. You may also exchange reflective card stock for FIVE of the picture cards. You therefore would be showing the patient FIVE pictures and FIVE reflective cards, intermingled, for a total of TEN opportunities for a patient to demonstrate attention. Finally, some PICUs also use a hand-held MIRROR instead of the picture cards. In this instance, the mirror is moved in front of the patient, slowly, side to side, TEN times while assessing for eye contact with mirror. The assessment for inattention (Feature 2) is completed using the developmentally appropriate picture cards included in the Delirium Card Set. Reflective cards can be exchanged for some of the picture cards, or a simple mirror can be used as well. Appropriate population: Children at least 5 years of age (both chronological and developmental) either intubated or non-intubated. 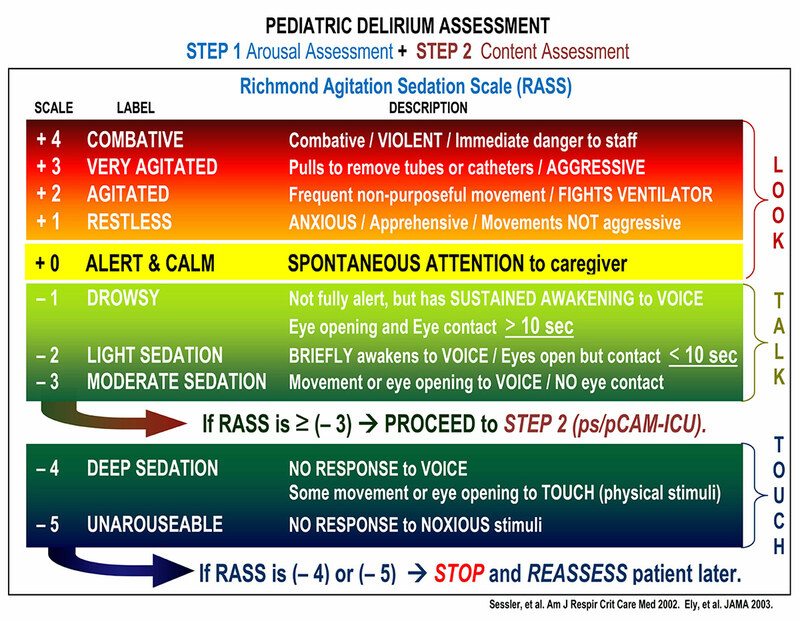 Overview: The pCAM-ICU Instruction Tool provides detailed directions on how to perform delirium monitoring in children 5 years and older. The most common way to assess for inattention (Feature 2) in older children is to use the Vigilance A test, included on the pCAM-ICU pocket card. This exam consists of a patient being asked to squeeze your hand when you say the letter ‘A’ reciting a 10 letter sequence (ABADBADAAY). An alternative Attention Screening Exam (ASE) for older children is using the memory pictures that are part of the Delirium Card Set. You show the patient FIVE pictures to remember, and then show TEN more cards, of which they have to identify the FIVE memory pictures they were initially shown. Commonly, clinicians use the ‘Vigilance A’ test as it is perceived to be faster than using the memory pictures. The ps/pCAM-ICU provides a consistent method in which the neurobehavioral status of a patient (arousal, delirium present/absent) can be monitored and communicated to the medical team. Nursing staff and providers may be reluctant to incorporate yet another monitoring tool in the ICU setting, especially if they believe delirium to be a trivial and expected consequence of critical illness or that delirium can be easily identified without the use of a valid tool. It is becoming clear that delirium adversely effects both adults and children during critical illness. Additionally, WITHOUT the use of a delirium tool, clinicians miss the diagnosis of delirium in 3 out of 4 patients. Once disciplined to use a delirium tool, the experience of interacting with children who have delirium will help solidify your understanding and confidence in the tool and the process. Children can be sitting with eyes open (calm) but are not “there” cognitively (delirium present). In a similar manner, some patients when intubated and sedated will have difficulty opening their eyes (decreased level of arousal) but are able to “attend” and prove to be “present” under the umbrella of sedation. Delirium is NOT always present in patients with altered level of consciousness. Please review the following VIDEO demonstrating the assessment of ‘inattention’ in two different patients. Patient 1 (NORMAL): Patient with tracheostomy on MV, recovering from acute pneumonia in the setting of chronic lung disease. He is preparing to be discharged to home. His RASS is 0. He is attentive during this exam exhibiting necessary baseline attention (looking at each card), in addition to other normal behaviors of attention such as reaching out for card, smiling, and tracking. Patient 2 (DELIRIUM/NORMAL): Patient with congenital heart disease who subsequently required tracheostomy and MV for acute/chronic respiratory insufficiency and tracheobronchomalacia. Two different attention assessments separated by time are shown for this patient. On both occasions, the patient is alert and calm (RASS 0). However, the first assessment demonstrates obvious inattention, with the patient staring through the cards to the ceiling, he does NOT look at the cards. The second assessment reveals a drastic change in level of attention, with the patient looking at the cards in addition to other normal behaviors such as tracking. Screening for delirium will require an interdisciplinary approach as providers on the clinical team must consider and respond when the presence of delirium is identified by the nursing staff. This provides immediate feedback that delirium monitoring is an important and necessary component of overall patient care. It is important to recognize that if delirium is present, there is not always an intervention that will immediately resolve the brain dysfunction. However, there are iatrogenic risk factors that should be considered. The “Pediatric Road Map” provides an excellent framework for considering possible interventions and management options when delirium is present. “Understanding Delirium in My Patient” is a useful quick reference explaining the overall nature of delirium as it pertains to the ICU patient. Possible approaches to delirium management are included in the Pediatric Delirium Review publication and the delirium algorithms are provided below. The Vanderbilt Pediatric Delirium Team appreciates the work of other institutions in the growing field of Pediatric Delirium Research. Below you will find links and contact information concerning other pediatric delirium resources for use in the ICU setting. Please direct any correspondance related to the CAP-D to Gabrielle Silver or Chani Traube at Weill Cornell Medical Center.